Dallas and nearby Fort Worth initially developed due to the construction of major railroad lines through the area allowing access to cotton, cattle, and later oil in North and East Texas. The construction of the Interstate Highway System reinforced Dallas's prominence as a transportation hub, with four major interstate highways converging in the city and a fifth interstate loop around it. 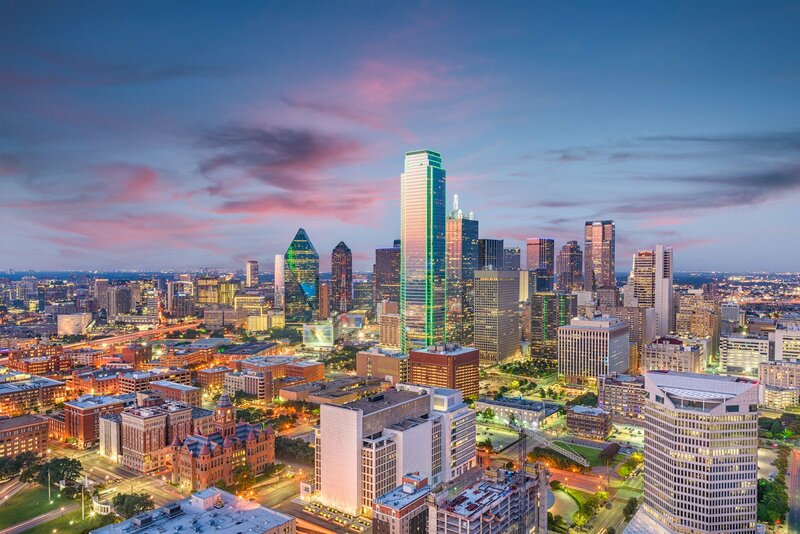 Dallas then developed as a strong industrial and financial center and a major inland port, due to the convergence of major railroad lines, interstate highways, and the construction of Dallas/Fort Worth International Airport, one of the largest and busiest airports in the world. Dallas is rated a "beta(+)" global city. 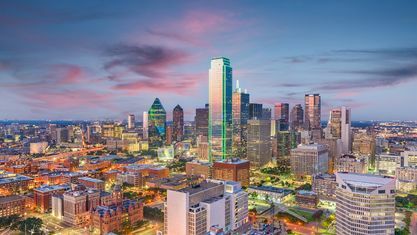 The economy of Dallas is considered diverse, with dominant sectors including defense, financial services, information technology, telecommunications, and transportation. It serves as the headquarters for 9 Fortune 500 companies within the city limits. The Dallas–Fort Worth metroplex hosts additional Fortune 500 companies, including American Airlines (Fort Worth), ExxonMobil (Irving), and J.C. Penney (Plano). The city has a population from a myriad of ethnic and religious backgrounds and the sixth-largest LGBT population in the United States.